Adding elegant window treatments to your home doesn't need to come with a high price tag. At BlindsOnTime.com, you can find a wide array of blinds, shutters, drapes, and shades from a number of well-known brands. Thanks to our experience in the industry, we assure you of not just excellent quality products, but also some of the best prices on the market today. What sets our shop apart is that we don't stop at providing you with an "off-the-shelf" treatment. Our selection allows you to create a custom-made product with your choice of colors and sizes. Whether you are interested in blinds, shutters, drapes, or shades, we make sure to carry the latest styles available from manufacturers chosen for their unique, quality products. To help you save even more on your window treatments, all our products are easy to install, which eliminates the need for intrusive sales representatives and inconvenient installation appointments. We even help you out through instructional videos available on the site. You can also contact our expert customer service team through phone or live chat. Find the right treatment for your home, from silken honeycomb shades, to classic wooden blinds, to durable PVC shutters, and soft roman drapes. With our low price guarantee, we ensure you get only the best products at excellent prices. For your convenience we have already included the promotional discount into the listed price. Go to Free Sample page to see the available colors, and place an order for your set of swatches, at no cost to you (including FREE shipping). 1. Choose the type of blind you want. 2. Decide how you want your window treatments installed. Inside mount or outside mount. 3. Follow our quick and easy instructions. We've worked hard to bring you one of the best online window covering stores. We selected only manufacturers that proved to be reliable that can produce high quality products. We bargained the best prices, so we can pass this savings to you. For this month, we are offering several additional discounts. These products are marked with SALES logo. Thank you for shopping at BlindsOnTime. Since discovering Blinds On Time last year, you have become an important resource in my bag of secrets to help create fabulous rooms for my clients - on any budget. The quality, price and custom service available through you is simply the best out there! My clients (I am an interior decorator) have been consistently pleased with a wide variety of your products - sometimes even happily stunned at the quality and affordability. Also, unlike other companies I have worked with, you have ALWAYS delivered when you promised. Amazing. I want you to know how much I appreciate you and your professional, cheerful assistance as well as this amazing company. Thank you!!! 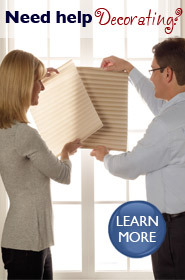 Window blinds, shutters, honeycomb shades, custom window treatments at a lowest price in USA.